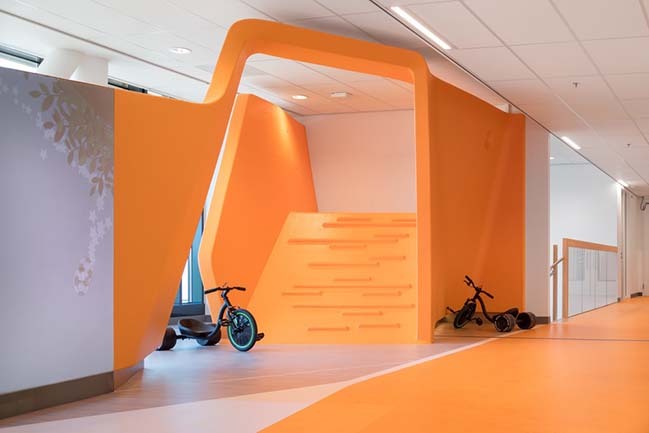 MMEK’ created a solid master plan that managed to attract a large sponsor. 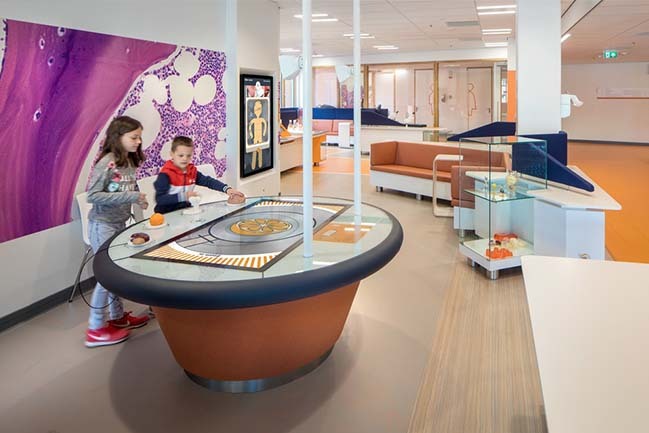 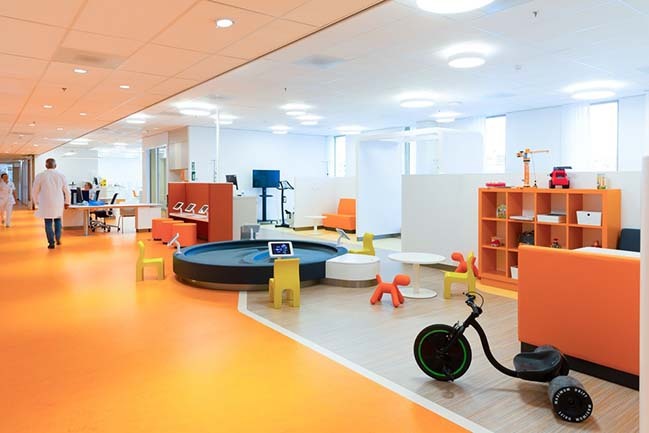 In addition to including play rooms and communal areas for children of all ages, the hospital will also be home to a science centre, where children and their families can learn more about the nature of cancer and about the treatments they will be undergoing. 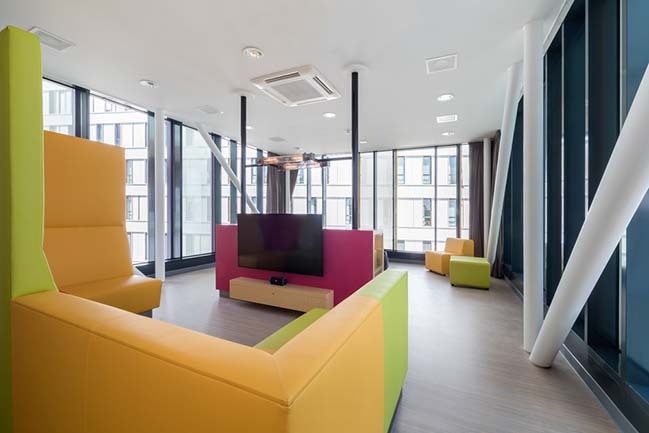 Another space will serve as a ‘hangout’ for older children. 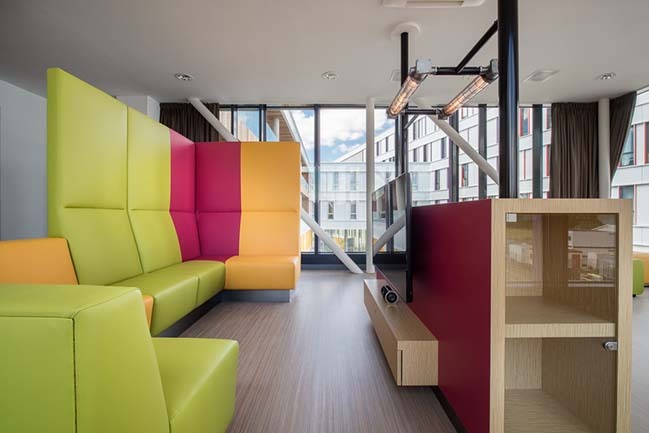 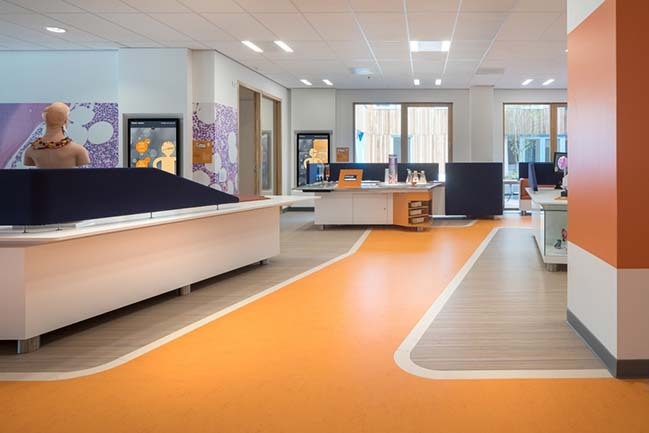 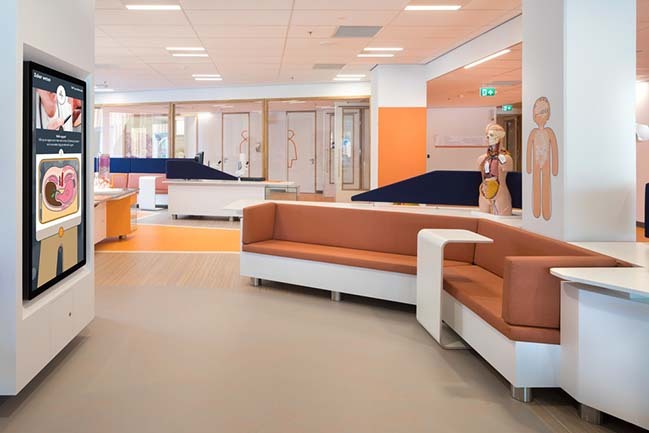 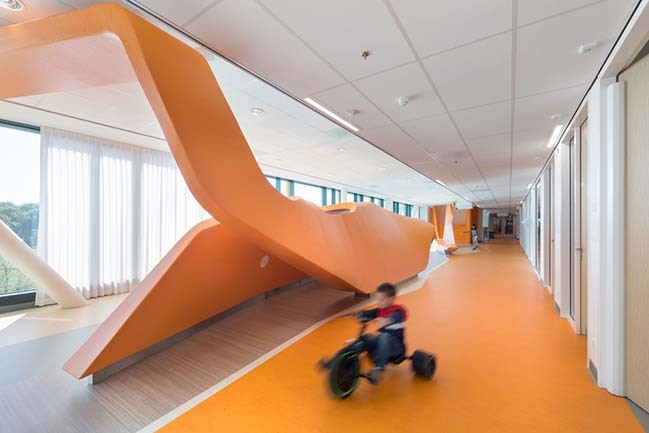 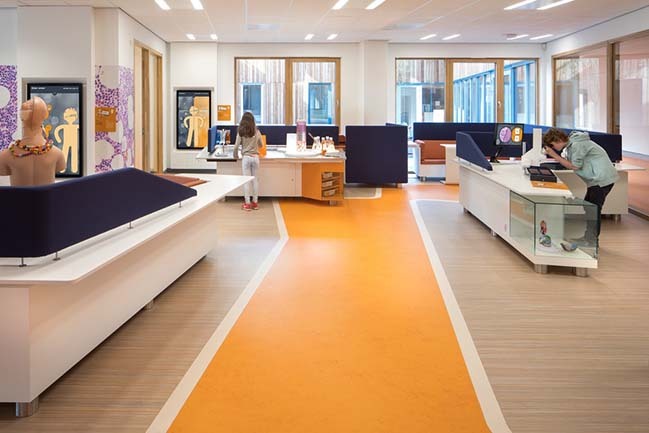 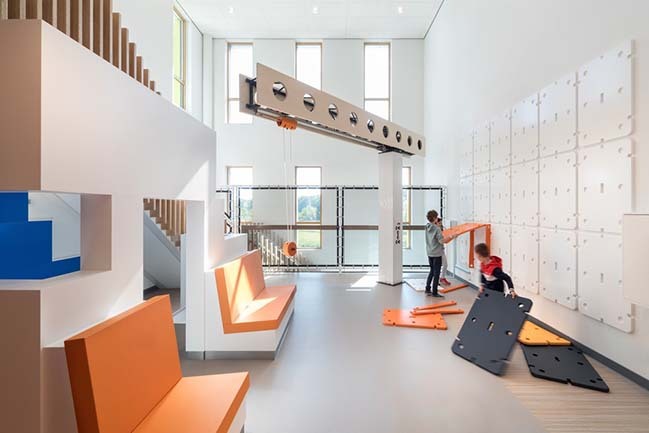 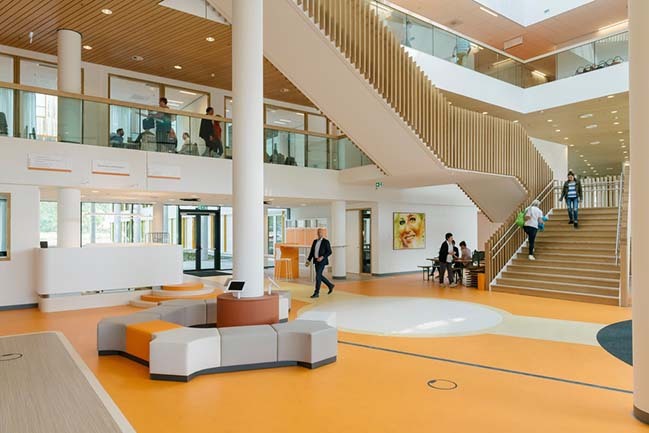 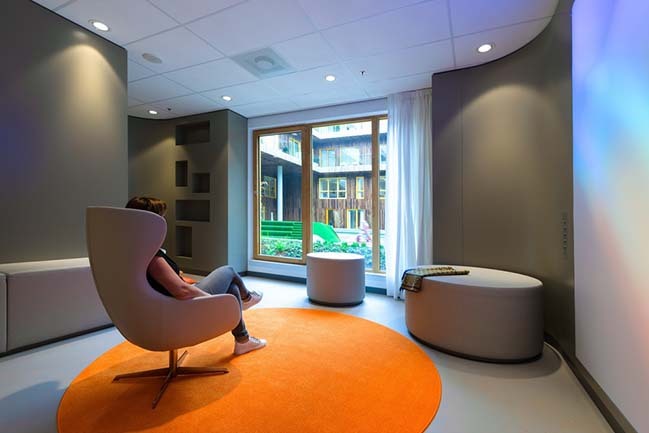 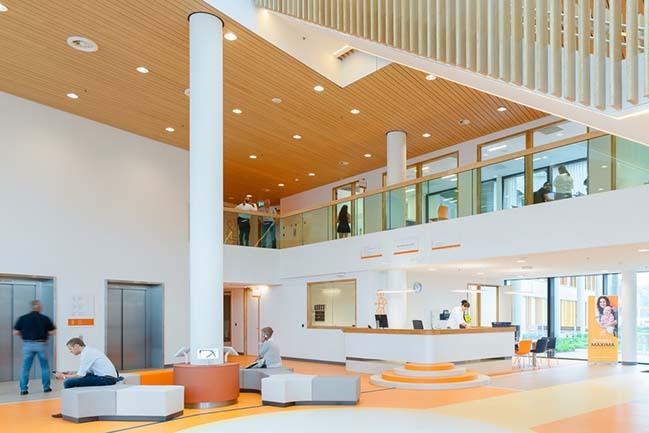 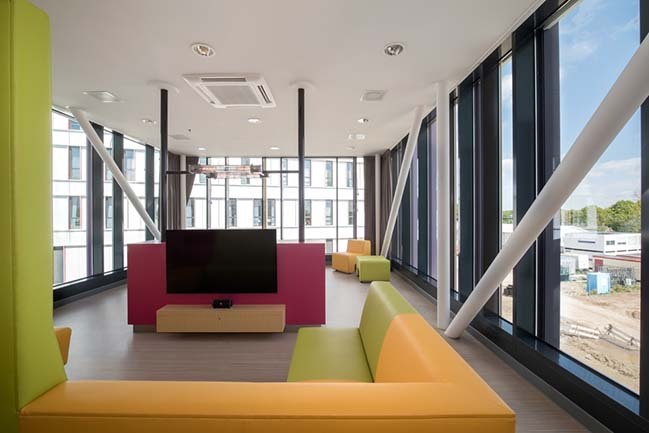 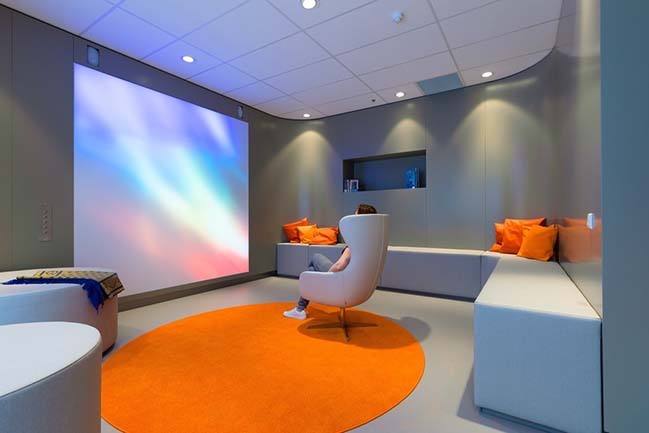 From the architect: The Princess Máxima Center in Utrecht opened in May 2018. 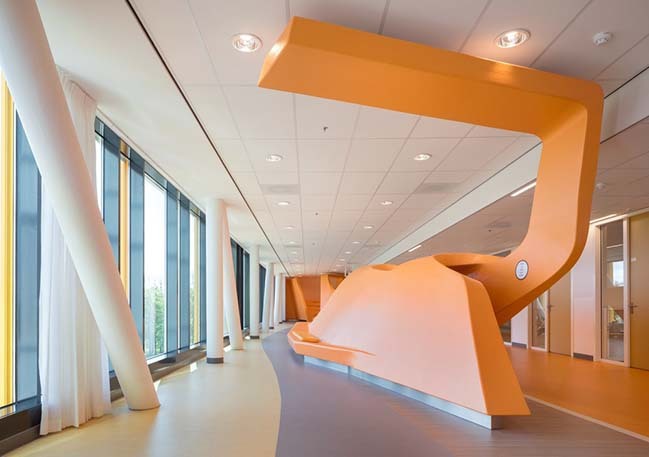 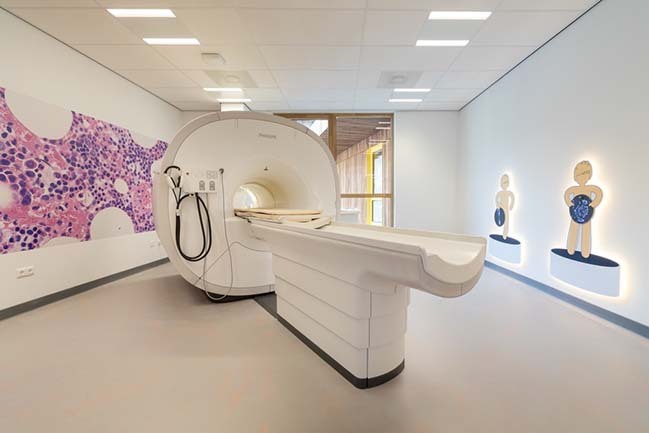 From that point onwards, all healthcare, research and training in the Netherlands related to children with cancer is concentrated in one place.